Home/Carpet and Rug News/THE COUNTDOWN TO THE HARROGATE FLOORING SHOW IS WITH US IN EARNEST! 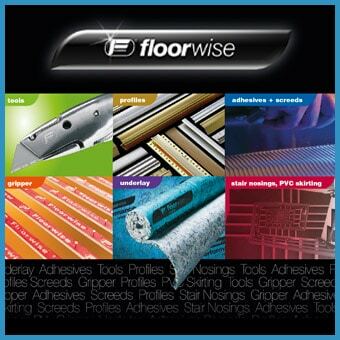 In just a matter of days the UK’s only national flooring event, The Flooring Show, opens (2-4 September 2012) in Harrogate. Celebrating 50 years of flooring exhibitions in Harrogate it is the one place and time in the year when the whole industry gets together, and provides the ideal opportunity to meet current and new suppliers, network, and learn about new products and launches destined to catch customers’ imaginations and provide profitable lines. With an eye on profitability in tough times there is a superb retail seminar programme in a specially constructed theatre on the exhibition floor in Hall C on 2 and 3 September, featuring a keynote on Monday by Clare Rayner, ‘The Retail Champion’’ who will address ‘The key ingredients of effective retailing’; and highly relevant and topical presentations on topics as varied as ‘can a buying group benefit your business’, ‘effective shop window display design’, ‘business finance’, ‘using the internet to grow your business’, ‘training and apprenticeships’ and ‘estimating software’. Hall B is home to the Demonstration Zone spearheaded by the Contract Flooring Association, the Flooring Industry Training Association (FITA) and the National Institute of Carpet and Floorlayers showing just how things should be done. On 3 September the flooring requirements of facilities managers, architects, specifiers and specialist installers will be addressed at the Commercial Flooring Conference, with healthcare, sports & leisure, retail, office, & hotel sectors all coming under the conference spotlight. These will be covered by means of technical presentations, case histories, and informative sessions by the Health & Safety Laboratory in association with Altro; and the SATRA Technology Centre, a Notified Body for the EU Construction Products Directive, who will address the crucial issue of the EU Construction Products Directive. The programmes for both the seminar and conference are available at www.theflooringshow.com as is the exhibitor list, full details on show features, online registration and information covering every aspect from opening times, travel (car parking is free) as is a complementary bus service to and from Harrogate railway station, and information on the attractions in and around Harrogate.